Puerto Rico’s governor announced the US territory has overwhelmingly chosen statehood in a non-binding referendum on Sunday held amid a deep economic crisis that has sparked an exodus of islanders to the US mainland. The participation rate was just 23 percent with roughly 2.26 million registered voters, leading opponents to question the validity of a vote that several parties had boycotted. Governor Ricardo Rosselló Nevares and First Lady Beatriz Rosselló voted this morning at the San José de Caparra Academy in Guaynabo. 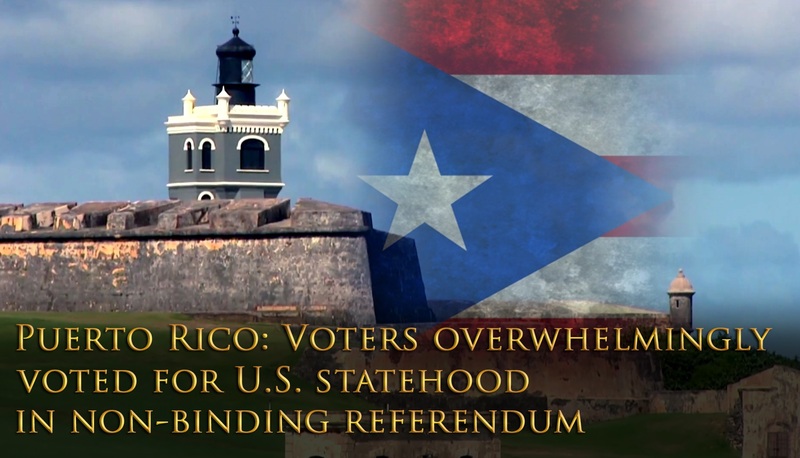 Shortly before showing his ballots with the cross under the statehood column, Rosselló Nevares insisted on defending the status quo, even though he did not have the endorsement of the federal State Department. “We decided that Puerto Rico could not wait any longer. But that we welcomed all the recommendations that they established, word for word, we already did, “said Rosselló Nevares. “No plebiscite process in the past in the transition from territory to statehood had this kind of link need. It is the people … the people must be sufficient bond and the American citizens exercising their democratic right, “he added. Meanwhile, the call for a boycott by organizations and political parties, Rosselló Nevares called it “absurd”.